In the past, many users have reported that Lightroom becomes slower after a prolonged usage. This issue should have been fixed with this version. Also, resource-intensive activities, such as export, import, preview generation, and HD/panorama merge should be faster if your machine has 12 GM or more RAM. We, specifically, have implemented changes related to Threading Building Blocks (TBB). This should be effective on machines with 12 GB or more RAM. 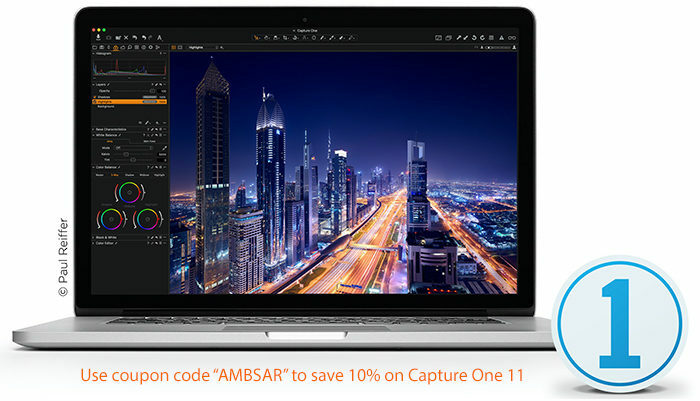 If you like me prefer to have a proper standalone version with no subscription check this: We can now offer a 10% discount on Capture One 11 (Click here) and Capture One 11 for Sony (Click here). Use the coupon code “AMBSAR“.